This amazing rucksack convertible to cross-body bag is our very own ‘ruckbag’. It has a zip pocket under the flap and at the bottom of the bag as well as a side secret zip pocket. This bag measures 39x40cms with a 10cm flapover. The bag is lined with black waterproof nylon and has a zip pocket built in the lining. The ruck handles are fully adjustable and removable and can also be stored in the back pocket. The long strap for cross body bag is also removable and adjustable. 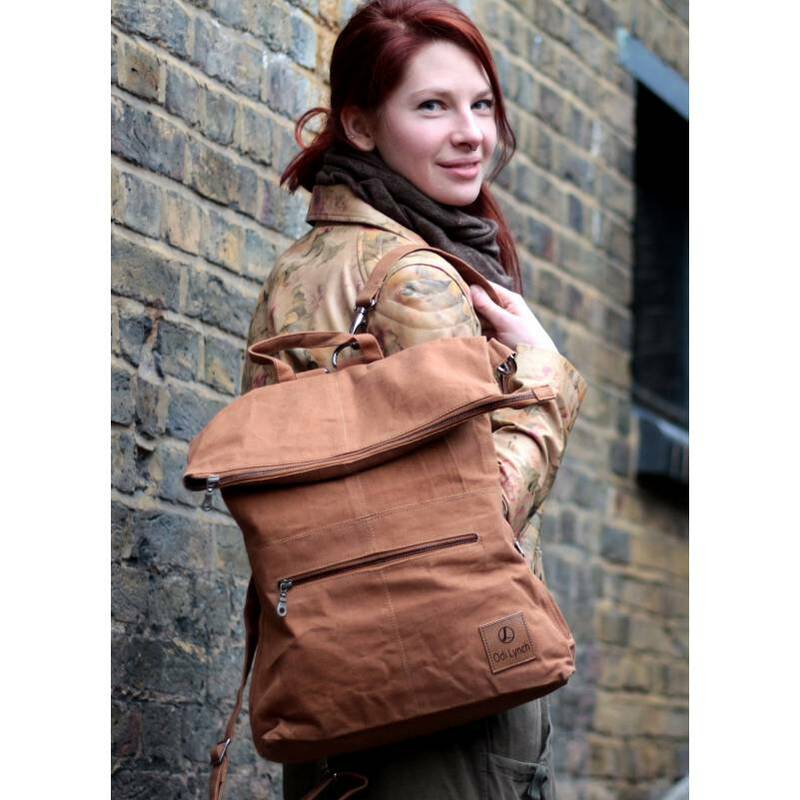 This bag is reinforced by several extra rivets at the back allowing you to carry a good deal of weight. We use YKK Zips and brass fittings.This is a really amazing bag and recommended for executive, cyclists and students alike. This tan vegan is a quality lightweight fabric.